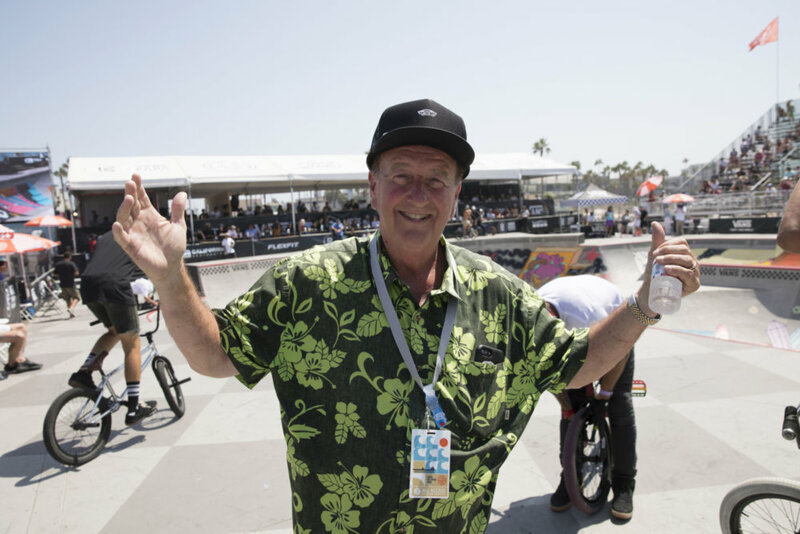 Huntington Beach, CALIF. (August 3, 2018) – Vans BMX Pro Cup, the world’s leading platform for elite BMX park terrain competition,turned up the heat today in Huntington Beach, CA for the second Pro Tour stop of the 2018 season at the Vans US Open of Surfing. Despite a minor injury in practice, tour veteran Kevin Peraza surpassed 30 of the world’s leading BMX riders during a heated semi-finals round to qualify in first, merging his expert street skills with his solid park riding style. 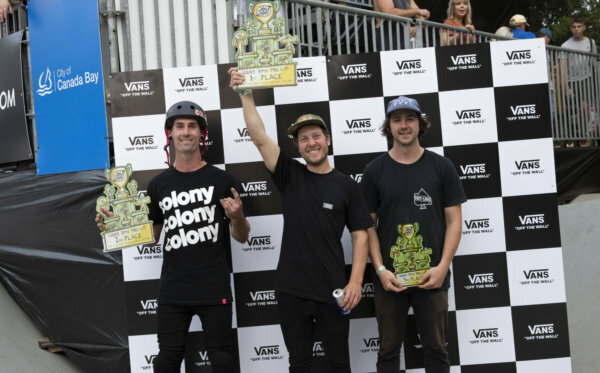 Local hero Kris Fox’s high-speed riding and lasting ambition for a place on the podium earned him second place, while 2016 Van Doren BMX Invitational event winner Matt Cordova’senormous airs and unique transfers secured a third place finish. 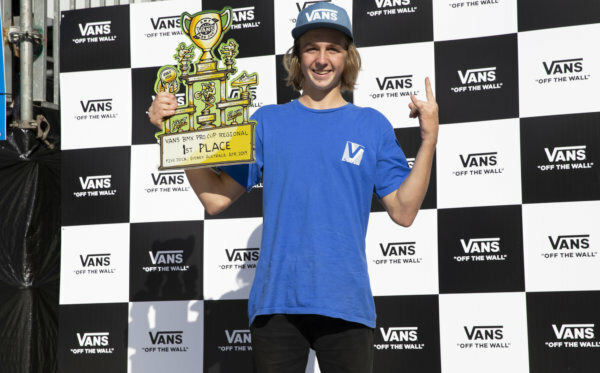 The top ten riders from today’s semi-finals will join the current series point leaders this Sunday, August 5 for the Vans BMX Pro Cup Huntington Beach Pro Tour finals event. The 2018 Vans BMX Pro Cup Pro Tour men’s and women’s finals will be broadcasted live on vansbmxprocup.com this Sunday, August 5. 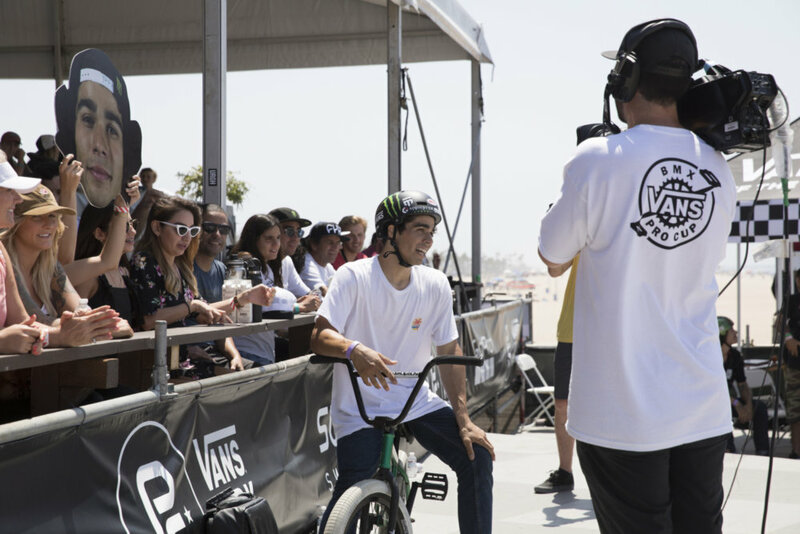 Tune in to watch Vans BMX Pro Cup semi-finalists Kevin Peraza, Matt Cordova and event rookie Rim Nakamura fight to secure the lead against the series point leaders Larry Edgar and Sergio Layos during this weekend’s exciting BMX park terrain competition. 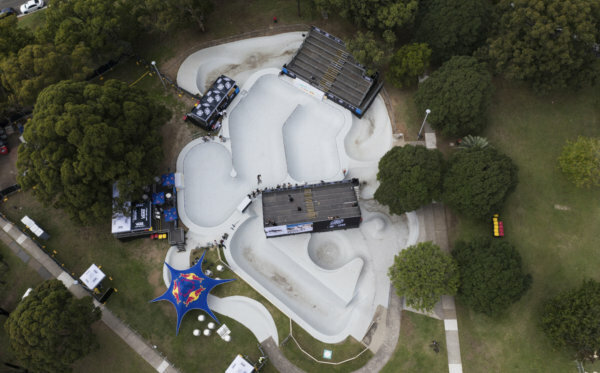 For detailed information on the Vans BMX Pro Cup Series competition format, locations, athletes, tour highlights, photos, videos, and to watch the live webcast, visit vansbmxprocup.com.